Those who are fans of Kugane Maruyama’s fantasy light novel series will be glad to hear that Overlord‘s 12th volume, The Paladin of the Holy Kingdom, is scheduled to be released on September 30th. The Holy Kingdom, which has only been mentioned in passing so far, will be the focus of this book as it falls prey to a demi-human army amassed by Demiurge, who will be reprising his role as the Demon Emperor Jaldabaoth. 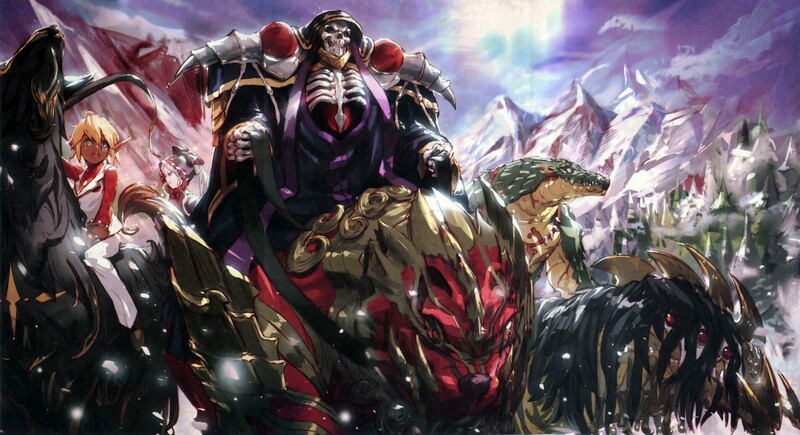 While I’m interested to learn more about both the Holy Kingdom and possibly some of the non-human kingdoms which have received relatively little attention so far, I have to admit that I’m most curious about the cliffhanger in the previous volume in which we learn that Ainz has supposedly been defeated. For those who want a less reading-intense approach to the series, the second season of the anime is rumored to start in the winter season of 2018. Given the pacing of the previous season, you can expect to see the next three volumes covered, which would include The Lizard Man Heroes and The Men in the Kingdom, so a temporary shift in focus away from Nazarick’s denizens should be coming our way. For those who can’t wait to see the struggles of lizards, men, and lizard-men against the might of Ainz Ooal Gown, or simply want a refresher with a different perspective than the anime, the manga is currently partway through The Men in the Kingdom. While both the anime and manga are by necessity lacking in some of the details, they’re still well worth checking out, especially since there will be a bit more waiting for the novel’s translation as well.